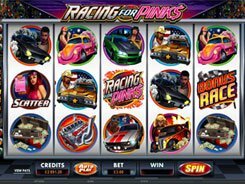 Racing for Pinks is a drag racing-themed slot with 5 reels and 243 ways to win. 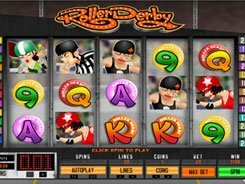 The game is one of the best options for high rollers as the maximum total bet reaches an eye-popping $450. Yet low-limit players can still place a minimum $0.3 bet per spin. 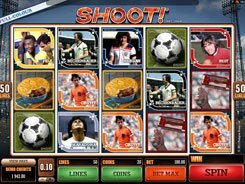 The reels in the slot are packed with automobile-related symbols including nitrous kits, engines, suitcases with cash, muscle cars that boast high horsepower, and playing card icons. Racing for Pinks features a wild symbol, a scatter, the Bonus Race feature, and a fixed jackpot worth a whopping $30,000. In the Bonus Race you have to select a driver you believe will finish first. If you pick the correct winner, you will move on to the next level and win a x5 your total bet. If you advance through all the five levels, you will benefit from a x175 multiplier. 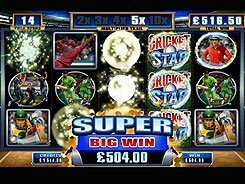 The Show Girl symbols landed on reels 1 and 5 activate the free spin bonus with up to 30 non-retriggerable free spins at up to a x5 multiplier. 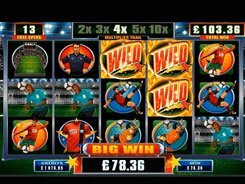 All in all, this fast-paced slot with an exhilarating theme offers amazing payouts and great bonuses to keep you enthralled.